Description Deploy your spider web and catch bees. 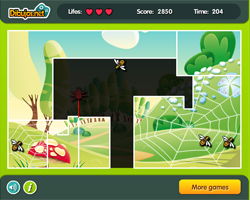 Each level you complete will increase the number and speed of bees and will be much more difficult. They don't leave you alone!